The Seljuq Turks were settled in Iran during the 11th century. This Turcoman tribe made Isfahan their capital. So enamored was the Abbasid Caliph of their military skills that he appointed Tugrul Bey, the leader of the Seljuq Turks as the King of the East and West. This Seljuq Turk warlord went on to become the deputy for the caliph in Iran. The Seljuq Dynasty of Turkey is known for its many conquests by Tugrul and Alp Arslan as they forayed into areas like Egypt and the Levant. They felt it was their right to conquer lands which had converted to Islam during and after the time of the Prophet Muhammed and make them a part of the Islamic heritage. In order to reinforce their army and military, the Seljuq Turks conducted various negotiations with the Emperor of Istanbul. There was constant strain between the Seljuq Turks and the Byzantines, which led to many skirmishes. There were many Turkish ghazis who were considered faith-fueled warriors along with the Byzantine akritoi or mercenaries who were inducted by landowners from Armenia and Byzantine. There was constant rivalry between these two factions with each accusing the other of curtailing the peace efforts and working in bad faith. This mistrust reached its zenith in the 11th century when the Byzantines decided to re-conquer Armenia under the leadership of Emperor Romanus IV Diogenes. A preemptive strike was initiated from modern-day Elazig and involved the crossing of the Euphrates River which demarcated the East and West regions. In the year 1071, a battle took place between the Seljuq Army and Romanus Army in Malazgirt, which lies at the northern end of Lake Van. This was a horrible location for a battle as selected by the Byzantine army. Even though they had a huge host, they disbanded and became disoriented. Thus the Seljuq Turks really delivered a big blow to the Byzantine Army. The crafty Turks actually pretended to beat a retreat thereby luring the Byzantine military into a secured area. The exhausted army was then showered with arrows from all sides in the confined area, resulting in the death of many Romans. It is an interesting point in the history of the Seljuq Dynasty of Turkey that they released the captured Emperor Diogenes! However this was done for a hefty ransom, which included the cession of Byzantine land. After the defeat of the Roman Emperor there beagn another era of uncertain peace with Constantinople. In fact, during the 13th century these two forces joined hands to try to prevent the Mongols from invading their country. This was a futile attempt as the savage Mongols spared neither the Christians nor the Muslims in their conquests. The most progressive and glorious era of the Seljuq Dynasty of Turkey was the time when Alp Arslan along with Malik Shah, his son, were the rulers. When these people died in the late 12th century, the Dynasty slowly faded away because it was unable to withstand the pressures of the Crusaders. After the Crusades, the Seljuq Dynasty of Turkey was besieged by the savage Mongols who raided the deepest areas of central Asia and swiftly returned to China. With the fading away of the Seljuq Dynasty of Turkey, the remaining clans disintegrated into smaller principalities all over Anatolia. With a lot of intermarriages the Christian and Muslim faiths became more acceptable to each other and mutually tolerated. 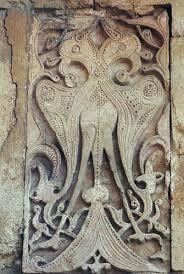 This influenced the architecture which is present in modern-day Turkey. One of the most beautiful examples is the piece which is known as “poetry in stone” to be seen in Erzurum.